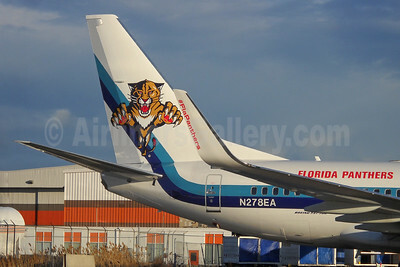 (subsidiary of Swift Air) (EA/EAL) (Miami) 2014 - 2017. Photos. Framable Color Prints and Posters. Digital Sharp Images. Aviation Gifts. Slide Shows. 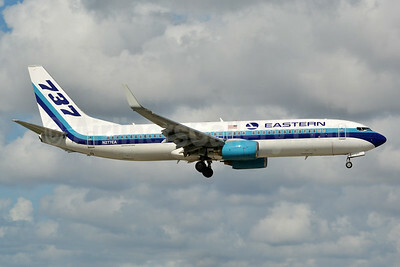 Eastern Air Lines (2nd) - Havana Air (Swifft Air 2nd USA) Boeing 737-8CX WL N277EA (msn 32359) FLL (Tony Storck). Image: 940752. 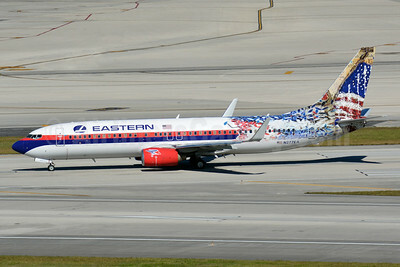 Eastern Air Lines (2nd) - Havana Air (Swifft Air 2nd USA) Boeing 737-8CX WL N277EA (msn 32359) MIA (Jay Selman). Image: 403677. 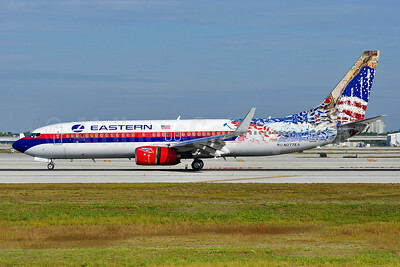 Eastern Air Lines (2nd) - Havana Air (Swifft Air 2nd USA) Boeing 737-8CX WL N277EA (msn 32359) MIA (Jay Selman). Image: 403678. 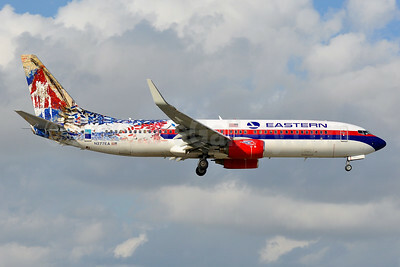 Eastern Air Lines (2nd) - Havana Air (Swifft Air 2nd USA) Boeing 737-8CX WL N277EA (msn 32359) MIA (Tony Storck). Image: 940753. 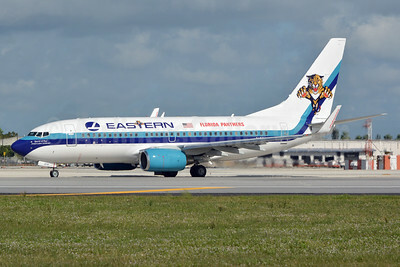 Eastern Air Lines (2nd) Boeing 737-7L9 WL N278EA (msn 28006) (Florida Panthers) MIA (Jay Selman). Image: 402746. 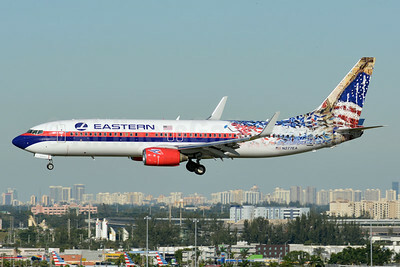 Named "Spirit of American Soldier"
Eastern Air Lines (2nd) Boeing 737-7L9 WL N278EA (msn 28006) (Florida Panthers) MIA (Jay Selman). Image: 402747. 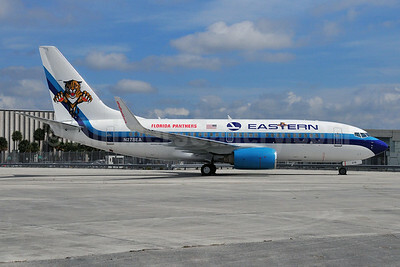 Eastern Air Lines (2nd) Boeing 737-7L9 WL N278EA (msn 28006) (Florida Panthers) MIA (Ken Petersen). Image: 929663. 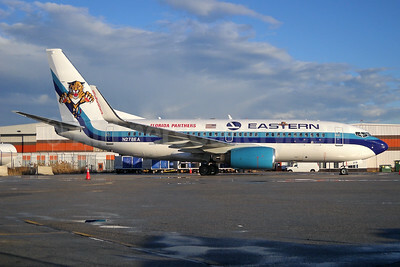 Eastern Air Lines (2nd) Boeing 737-7L9 WL N278EA (msn 28006) (Florida Panthers) YYZ (TMK Photography). Image: 932164. 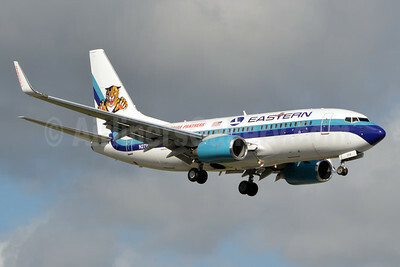 Eastern Air Lines (2nd) Boeing 737-7L9 WL N278EA (msn 28006) (Florida Panthers) YYZ (TMK Photography). Image: 932165. 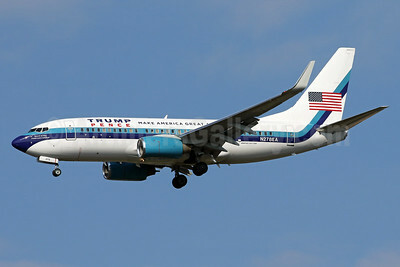 "Spirit of the American Soldier"
Eastern Air Lines (2nd) Boeing 737-7L9 WL N278EA (msn 28006) (Trump - Pence) IAD (Brian McDonough). Image: 934831. 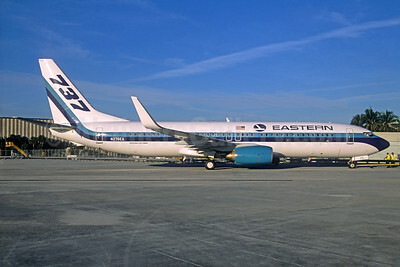 Eastern Air Lines (2nd) Boeing 737-8AL WL 5Y-KYB (N276EA) (msn 35070) SNN (SM Fitzwilliams Collection). Image: 925194. 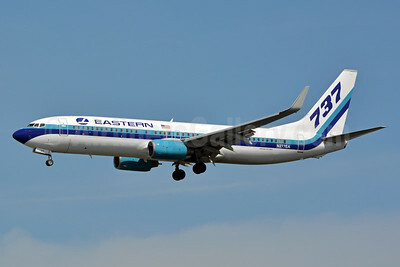 Eastern Air Lines (2nd) Boeing 737-8AL WL N276EA (msn 35070) MIA (Brian McDonough). Image: 925476. 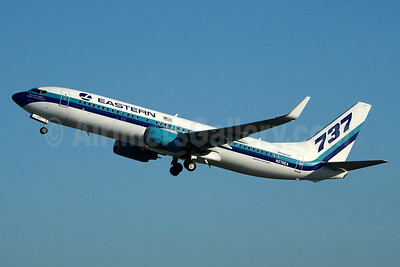 Eastern Air Lines (2nd) Boeing 737-8AL WL N276EA (msn 35070) MIA (Brian McDonough). Image: 925477. 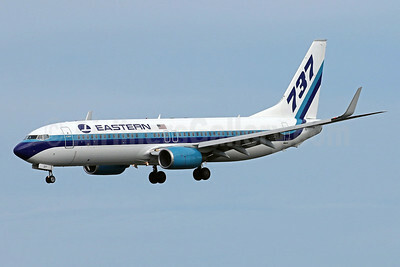 Eastern Air Lines (2nd) Boeing 737-8AL WL N276EA (msn 35070) MIA (Brian McDonough). Image: 925478. 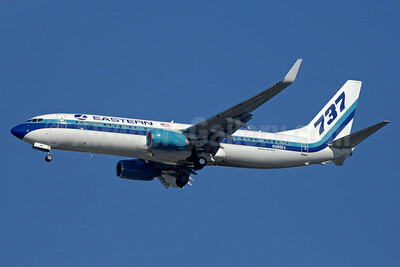 Eastern Air Lines (2nd) Boeing 737-8AL WL N276EA (msn 35070) MIA (Brian McDonough). Image: 925479. 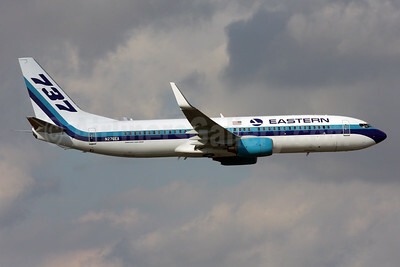 Eastern Air Lines (2nd) Boeing 737-8AL WL N276EA (msn 35070) MIA (Christian Volpati Collection). Image: 932162. 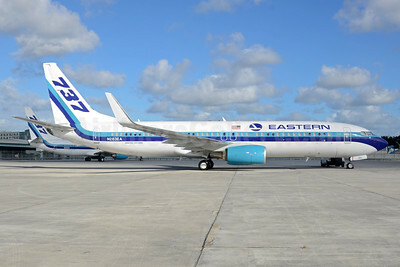 Named "Spirit of Captain Eddie Rickenbacker"
Eastern Air Lines (2nd) Boeing 737-8AL WL N276EA (msn 35070) MIA (Jay Selman). Image: 403415. 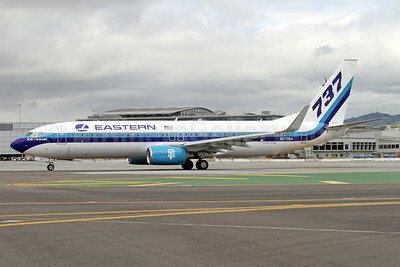 Eastern Air Lines (2nd) Boeing 737-8CX WL N277EA (msn 32359) (We Are SF-We Are Giant) SFO (Mark Durbin). Image: 932463. 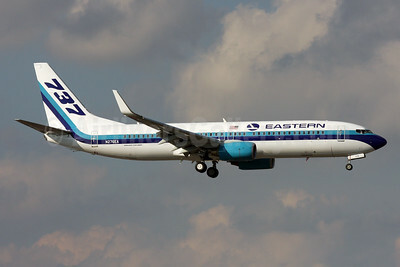 Eastern Air Lines (2nd) Boeing 737-8CX WL N277EA (msn 32359) IAD (Brian McDonough). Image: 929162. 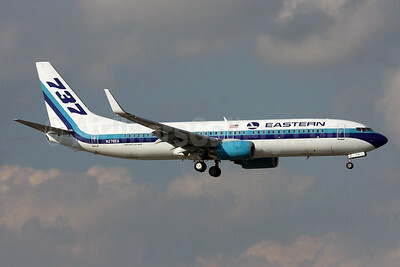 Eastern Air Lines (2nd) Boeing 737-8CX WL N277EA (msn 32359) MIA (Brian McDonough). Image: 931808. 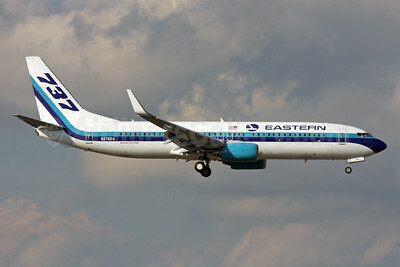 Eastern Air Lines (2nd) Boeing 737-8CX WL N277EA (msn 32359) MIA (Jay Selman). Image: 402707. 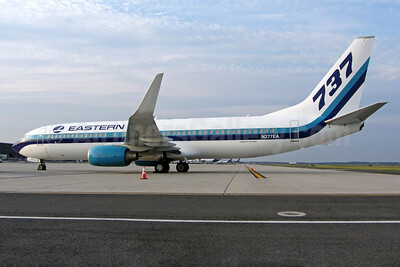 Eastern Air Lines (2nd) Boeing 737-8CX WL N277EA (msn 32359) MIA (Jay Selman). Image: 402999. Eastern Air Lines (2nd) Boeing 737-8SH WL N283EA (msn 42059) MIA (Bruce Drum). Image: 104294. 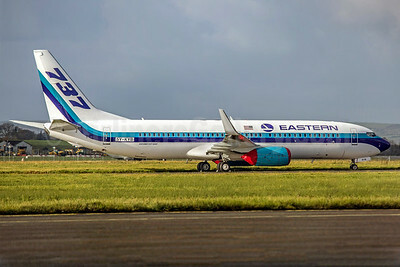 Eastern Air Lines (2nd) Boeing 737-85P WL N280EA (msn 33982) JFK (TMK Photography). Image: 935221.